Canadian born actress Jodelle Ferland has literally grown up in front of the lens. Starting her career as a child actress, Ferland won acclaim for her fearless performances in the Stephen King adaptation of Lars von Trier’s TV series The Kingdom (Kingdom Hospital), Christopher Gans’ surrealist horror masterpiece Silent Hill, and Terry Gilliam’s merciless psychodrama Tideland. But though the bar was set high at an early age, Ferland has continued to explore interesting material and refine her craft. Many might know her as Bree from the Twilight films and most recently in Pascal Laugier’s The Tall Man and her hit Syfy series Dark Matter has just gone into its third season. 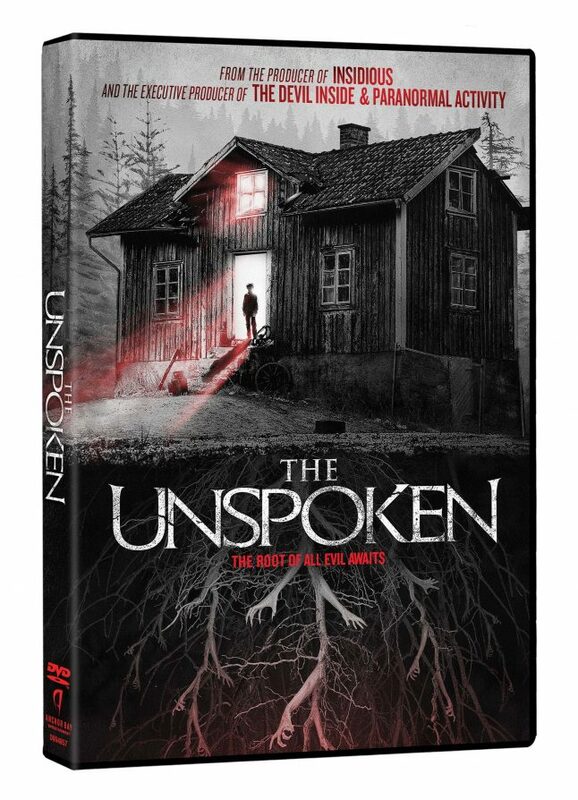 And now she continues her work in darker genre fare with her latest film The Unspoken, a bloody and atmospheric shocker co-starring Captain America‘s Neal McDonough and directed by Sheldon Wilson (Screamers: The Hunting, Shallow Ground) that is out today on DVD from Anchor Bay Entertainment. Synopsis: In 1997 the close-knit Anderson family vanished from their country home without a trace, without an explanation. No bodies were found and the house has remained undisturbed for 17 years…until now. When a mother and her mute son move into the mysterious place, a local teen reluctantly accepts a job as the son’s caretaker to help her financially struggling father. She immediately finds herself trying to make sense of the supernatural activities taking place in the house, all of which seem eerily similar to the past. We caught up with the lovely Lady Ferland today for a quick, exclusive interview about The Unspoken and her work in horror. ComingSoon.net: Your career has been wildly diverse but you still keep coming back to horror. Or does the genre seek you out? 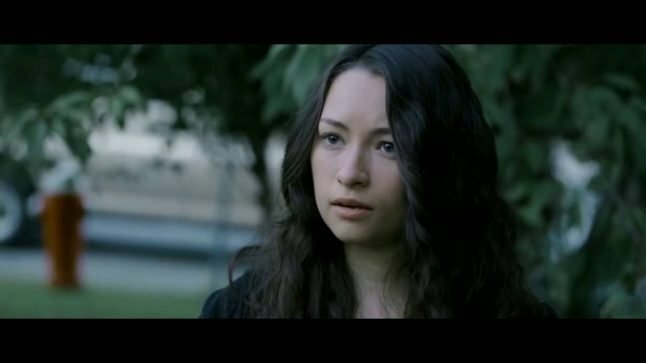 Jodelle Ferland: I think it’s somewhere in between the two. I very much enjoy the darker roles, of course, but I don’t necessarily seek them out. I take whatever roles come my way that seem intriguing. I was definitely typecast quite a bit right out of the gate as the “creepy little girl,” but I never minded that at all. Although it’s nice to switch things up a bit and explore different genres, I’ll always have a soft spot for the creepier stuff. CS: It was of course Silent Hill and Tideland that really locked you in with your cult following. As you’ve matured, has that fan base been supportive of all your career choices? Ferland: I’d say they have been, yes. It’s amazing to see how many of my fans have stuck with me since I was a child. Over 10 years later, I still get positive tweets and comments about those projects. Even though the direction of my career has changed a bit since then, it’s wonderful to still have the support of fans who have been there since the beginning. They’ve helped me get this far, and I appreciate that more than they know. CS: What are you memories of director Uwe Boll? You made two horror films with him when you were young. Ferland: Well it’s been nearly 10 years now since we worked together, but I personally have nothing but good memories of him. I’d happily work on a project with Uwe again. CS: Your The Unspoken director Sheldon Wilson has been making macabre movies for years. He knows and loves the genre. Did that passion shine through when you were working? Ferland: He’s a wonderful director. It’s a tricky genre to film, but he certainly knows it well. I could tell he had a clear vision in his mind of how every moment would play out in order to build suspense and make the audience jump. And after watching the finished product, I’d say he nailed it. CS: Dark Matter has gone into a third season. Congrats! CS: Is being in a long form series more gratifying than making features? Can you speak on the difference? Ferland: Yes, it’s quite different than making a feature film. I can’t say I like one or the other better, but Dark Matter has been such an adventure. I’m used to finishing a project and then having to say goodbye to the whole cast and crew. With a series, I get to see everyone again the next year, and go right back to playing the same character. It feels like going back to my second home. The fact that my second home happens to be a spaceship is pretty cool too. CS: Who has been your strongest mentor on your journey thus far? Ferland: My mentors are always changing as I grow. I’ve been so incredibly lucky to work with such talented and experienced people throughout my life. But I’ve never wanted to follow in just one person’s footsteps, I’d much rather learn a little bit from everyone I look up to.